In Part D of Chapter 3, the Sentencing Guidelines provide rules for grouping multiple counts together. According to the Introductory Commentary, the underlying goals of Part D are "to provide incremental punishment for significant additional criminal conduct," and "to limit the significance of the formal charging decision and to prevent multiple punishment for substantially identical offense conduct." See U.S.S.G. ch.3, pt. D, introductory cmt. To that end, when a defendant is convicted of multiple counts, the Sentencing Guidelines instruct the district court to group "closely related" counts of conviction according to the rules in § 3D1.2 before determining each group's offense level and the combined offense level for all the counts. See U.S.S.G. § 3D1.1; see also United States v. Marseille, 377 F.3d 1249, 1254 (11th Cir. 2004). U.S.S.G. § 3D1.2(a)-(d). "Counts involving different victims (or societal harms in the case of 'victimless crimes') are grouped together only as provided in subsection (c) or (d)." U.S.S.G. § 3D1.2 cmt. background. Because the "decision as to whether to group [multiple counts] together may not always be clear cut," the Background Commentary to § 3D1.2 instructs courts to "look to the underlying policy of this Part as stated in the Introductory Commentary" when "interpreting this Part and resolving ambiguities." Id. §§2T1.1, 2T1.4, 2T1.6, 2T1.7, 2T1.9, 2T2.1, 2T3.1. That created the tension the Court needed to resolve. n3 The only circuit to conclude that fraud counts and tax offense counts should be grouped under § 3D1.2(c) is the Fifth Circuit. See United States v. Haltom, 113 F.3d 43, 45-47 (5th Cir. 1997). Other circuits have roundly criticized Haltom. See, e.g., Vucko, 473 F.3d at 777; Martin, 363 F.3d at 43 n.31; Peterson, 312 F.3d at 1303; Weinberger, 268 F.3d at 354; Vitale, 159 F.3d at 815. The only circuit to conclude that fraud counts and tax offense counts should be grouped together under § 3D1.2(d) is the Second Circuit. See United States v. Fitzgerald, 232 F.3d 315, 318-21 (2d Cir. 2000). Two circuits, the Sixth and the Seventh, have declined to follow Fitzgerald. See Weinberger, 268 F.3d at 355 n.2; Vucko, 473 F.3d at 780. And, at least one Second Circuit judge has since suggested that Fitzgerald may be wrongly decided and has called on the Sentencing Commission to "cut through this morass and tell us in plain English whether it wants tax offenses grouped with the offenses that produced the income on which the taxes were evaded." See United States v. Gordon, 291 F.3d 181, 197-98 (2d Cir. 2002) (Newman, J, concurring). As to subsection (c), Doxie's mail and wire fraud counts in Group 1 governed his offense level because they produced the highest offense level. See U.S.S.G. § 3D1.4 (explaining that the combined offense level is determined by taking the offense level for the group with the highest offense level and increasing it based on a table). Under § 2B1.1, the mail and wire fraud counts do not have a specific-offense-characteristic increase based on the tax offense conduct. That is, under § 2B1.1, Doxie's offense level was not increased because Doxie failed to report his income obtained from the mail and wire fraud. See generally U.S.S.G. § 2B1.1. n4 We note that the two-level increase under § 2T1.1(b)(1) from level 18 to level 20 did not affect the number of Units used to calculate Doxie's combined offense level under § 3D1.4. See U.S.S.G. § 3D1.4(b) (counting as "one-half Unit any Group that is 5 to 8 levels less serious than the Group with the highest offense level"). Stated another way, if Doxie's tax offenses had not involved a failure to report income derived from criminal activity, his Group 2 offense level of 18 still would have resulted in one-half Unit under § 3D1.4(b) and his combined offense level would have remained 26 under § 3D1.4. This fact distinguishes Doxie's case from the defendant's in Haltom. See Haltom, 113 F.3d at 46-47 & n.5 (concluding that the defendant's mail fraud "counted twice toward his sentence" because "the enhanced tax evasion count was directly responsible for the ultimate 2-level increase" under § 3D1.4). n5 In 2001, the Sentencing Commission proposed an amendment to the official commentary to § 2T1.1 that would have called for grouping a tax evasion count with the count charging the offense that provided the income under § 3D1.2(c), but that proposed amendment was never promulgated. See Notice of Proposed Amendments to the Sentencing Guidelines, 66 Fed. Reg. 7962, 8004 (Jan. 26, 2001). Notably, the Sentencing Commission has managed to promulgate a similar amendment indicating that money laundering counts are to be grouped with the counts for an underlying offense that generated the laundered funds under § 3D1.2(c). See U.S.S.G. app. C, amend. 634; U.S.S.G. § 2S1.1 cmt. n.6. In light of this history, it appears "the Sentencing Commission does not support a categorical rule requiring courts to group fraud and tax evasion counts." Martin, 363 F.3d at 44 n.32. As for subsection (d) of § 3D1.2, although both guidelines—§ 2B1.1 and § 2T1.1—are included in the "to be grouped" list, they are not "of the same general type." The tax offenses are governed by the Internal Revenue Code in Title 26, rather than the criminal code in Part I of Title 18. Likewise, the offense level for the tax offenses are governed by a different part of the Sentencing Guidelines, Part T rather than Part B. Cf. Register, 678 F.3d at 1267 (concluding the defendant's failure-to-pay-over and filing false returns counts were "of the same general type" in part because they were both governed by the Internal Revenue Code and Part T of the Sentencing Guidelines). Further, the loss for the tax offenses is determined differently under the Guidelines. Specifically,§ 2T1.1 determines the base offense level based on tax losses, not on fraud losses. Also, to the extent § 2T1.1 accounts for fraud losses, it does so only as a two-level increase, so the fraud losses are not aggregated with the tax losses to set an offense level. See U.S.S.G. 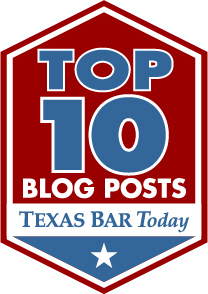 § 2T1.1(b)(1) (providing for a two-level increase "[i]f the defendant failed to report or to correctly identify the source of income exceeding $10,000 in any year from criminal activity"). n6 Had the district court grouped all 66 counts together in one group under either U.S.S.G. § 3D1.2(c) or (d) as Doxie urged, the adjusted offense level would have remained 25 under § 3D1.3(a) or (b). The only difference is there would have been no multi-count enhancement under § 3D1.4. The total offense level after the acceptance-of-responsibility reduction would have been 23. With a total offense level of 23 and a criminal history category of I, Doxie's advisory guidelines range would have been 46 to 57 months, instead of the 51 to 63 months used by the district court. Finally, any ambiguity as to whether to group Doxie's fraud and tax counts together under § 3D1.2(c) or (d) is resolved by reference to the Sentencing Guidelines' stated goals for grouping counts. Regardless of how Doxie's counts are grouped, his offense level ultimately is determined by his wire and mail fraud counts because they produce the highest adjusted offense level (25 as opposed to 20). See U.S.S.G. § 3D1.3(a)-(b). Because the Group 1 adjusted offense level of 25 did not include a specific-offense-characteristic increase for Doxie's tax counts, there was no double counting of Doxie's tax offense behavior when the district court applied the one-level increase under § 3D1.4 to determine the combined offense level. 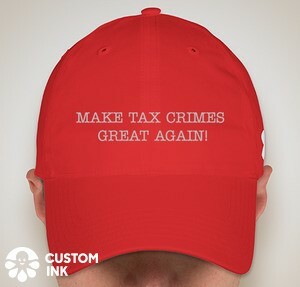 By imposing § 3D1.4's one-level increase for the four tax counts, the resulting advisory guidelines range furthered the goal of providing "incremental punishment for significant additional criminal conduct." See U.S.S.G. ch. 3, pt. D, introductory cmt. Had the district court done as Doxie urged and placed all 66 counts into one group, there would have been no additional punishment for Doxie's tax crimes reflected in the advisory guidelines range. In short, the only way to achieve the stated goals of providing incremental punishment for additional crimes while preventing double counting for substantially the same conduct is to refuse to group the tax counts with the wire and mail fraud counts. For these reasons, we conclude the district court did not err when it grouped Doxie's tax counts separately for purposes of calculating his offense level and advisory guidelines range. Accordingly, Doxie has not shown that his sentence is procedurally unreasonable.